Breaking Ground on the Stone Mountain Trail! Once again, we had wonderful volunteer turnout at our workday on January 12 on the Stone Mountain Trail near Wells Knob. This trail – in- progress will eventually connect the Town of Elkin to Stone Mountain State Park on the NC Mountains-to-Sea Trail. Thanks to over 30 hardworking volunteers who are passionate about getting this trail on the ground! 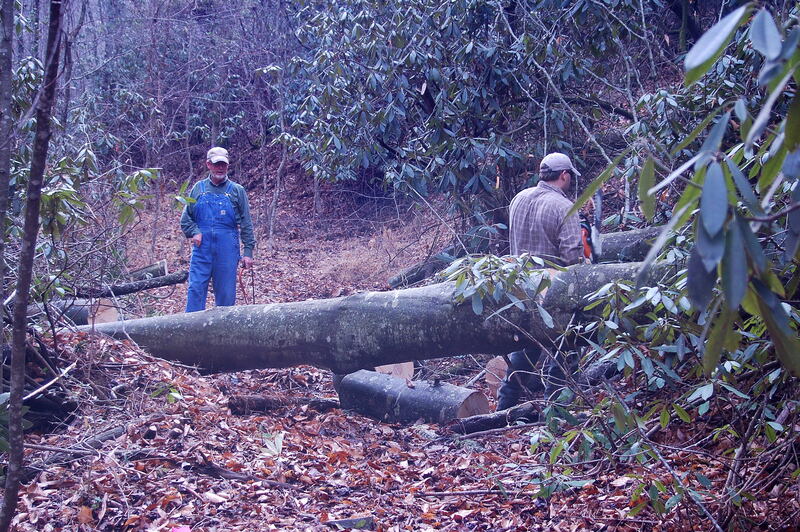 Stay tuned for future trail workdays. Be sure to get on our email list if you are not already. Home » Breaking Ground on the Stone Mountain Trail!